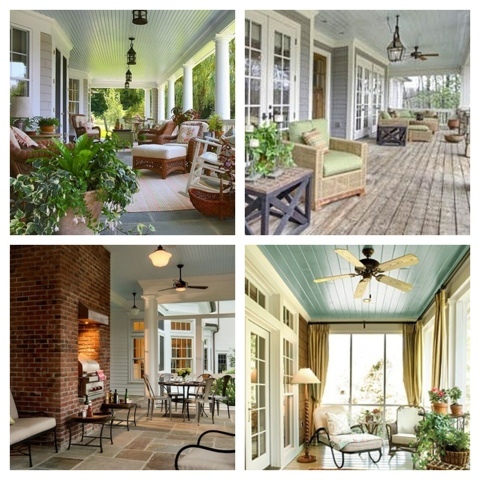 A ceiling fan: Outdoor ceiling fans help to increase air circulation, creating a much more comfortable environment, and providing many of the same benefits that indoor ceiling fans provide. One key additional benefit that you get with an outdoor ceiling fan is pest control. In addition to the breeze created by the downdraft, outdoor fans create an area that is difficult for many bugs to fly through, helping you keep them out of your patio or outdoor living space. Just make sure your outdoor ceiling fan is built to withstand wind, sun, cold and humidity. 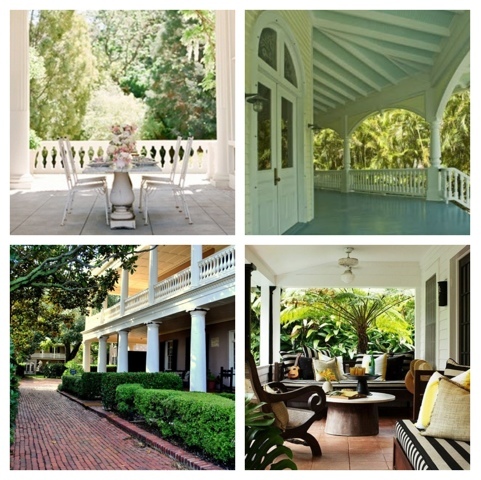 A blue ceiling: Once just an old Southern tradition, the blue porch ceiling has made its way north and is being introduced to new generations. There are numerous theories as to why – from fooling spiders and wasps into thinking the ceiling is the sky, to blue being a harbinger of good luck, to the color extending daylight, to scaring away evil spirits. 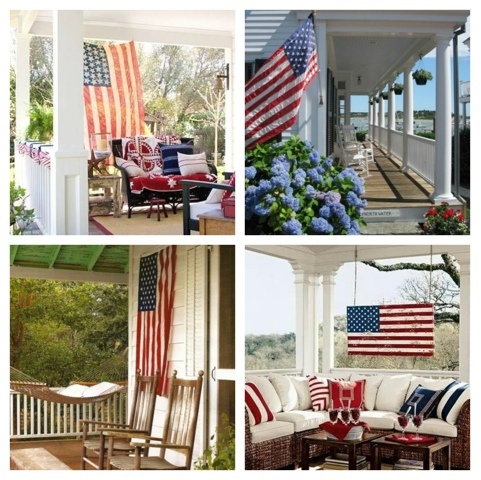 An American flag: Hang your American flag with pride and style. Just remember flag etiquette. If you choose to suspend a flag, whether horizontally or vertically, be sure the union (the starry part) is in the upper left, and when displaying more than one flag, the U.S. flag should be flown to the observer's left. A relaxing view: Stress has become synonymous with modern day living. Our experiences and surroundings strongly influence our mind which can result in stress, both in our body and mind. Relaxation helps us in reversing harmful affects of stress and returns our body functions to normal.